Kezar Stadium is an outdoor athletics stadium in San Francisco, California, located adjacent to Kezar Pavilion in the southeastern corner of Golden Gate Park. 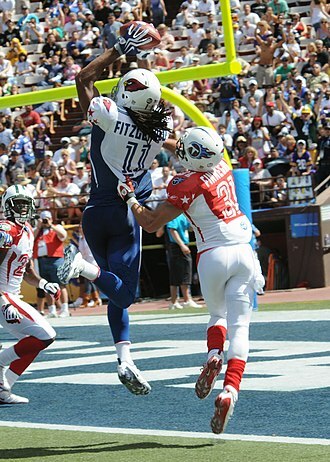 It is the former home of the San Francisco 49ers and the Oakland Raiders (first AFL season only) of the National Football League (NFL) and of the San Francisco Dragons of Major League Lacrosse. 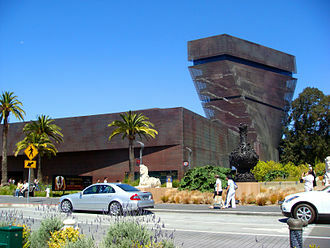 It currently serves as the home of San Francisco City FC of USL League Two. Kezar also hosts amateur and recreation sports leagues, as well as numerous San Francisco high school football games (including the city championship, known popularly as the "Turkey Bowl"). In 1920, Jack Spaulding proposed an athletics stadium for San Francisco, seating 50,000. Many business leaders in the city backed him, as it would keep San Francisco level with other cities with large stadiums. Areas under consideration for the stadium were 7th & Harrison Streets, Ocean Shore, and the Central Park grounds. 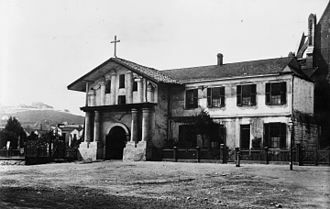 In 1922, the San Francisco Park Commission accepted a $100,000 gift from the estate of Mary Kezar to build a memorial in honor of her mother and uncles, who were pioneers in the area. After the City and County of San Francisco appropriated an additional $200,000, the stadium was built in a year. Dedication ceremonies were on May 2, 1925, and featured a two-mile (3.2 km) footrace between Ville Ritola and Paavo Nurmi of Finland, two of the great runners of the era. A little over a month later, the new stadium hosted the USA Outdoor Track and Field Championships. 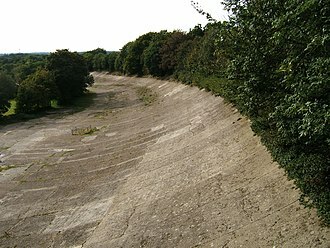 The stadium had many uses in the 1930s. 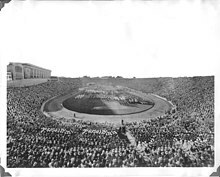 In addition to track and field competitions, Kezar Stadium hosted motorcycle racing, auto racing, rugby, lacrosse, soccer, baseball, boxing, cricket, and football. In September 1932, the Australian Cricket Team played a North California all-star team in the Australians' 56-game tour of the U.S. and Canada. The stadium was also home to several colleges (Santa Clara, USF, St. Mary's), and the now-defunct San Francisco Polytechnic High School. In 1926, the stadium also became the home of the East–West Shrine Game. In 1928, the city high school championship game between cross-town rivals San Francisco Polytechnic and Lowell drew more than 50,000—still the record for a high school football game in northern California. Local Sacred Heart Cathedral Preparatory plays most of their home games at Kezar. The Bruce-Mahoney rivalry football game between St. Ignatius College Preparatory and Sacred Heart Cathedral Preparatory is held at the new (smaller) stadium. The annual East-West Shrine Game of 1931 was replaced by a raucous Knights of Columbus game featuring the Savoldi All-Stars. Prescott Sullivan, a San Francisco Chronicle sportswriter, recounted the day's events in his January 26 column. " "Jumping Joe" Savoldi gave some very sound reasons why Knute Rockne calls him "modern football's greatest fullback" yesterday when he led a team composed largely of California and U.S.C. stars to a 13-0 victory over Ernie Nevers and a supporting cast of St. Mary's players at Kezar Stadium. More than 30,000 customers put the Knights of Columbus’ grid finales over in a big way and saw “Jumping Joe” and his playmates cinch their victory with two spectacular fourth period touchdowns. These runs, end to end, constituted a very sizable day's work for "Jumping Joe," and the crowd showed it's [sic] deep appreciation by mobbing him at the finish of the ball game. 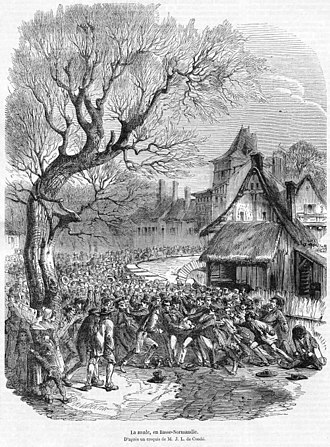 Savoldi managed to escape by throwing his headgear to the milling throng, and long after the players had left the field of action, Joe's helmet was still at the center of a battle royal. More than 200 enthusiastic souvenir hunters joined in the fight, which continued to rage unabated outside the stadium after police had managed to chase the combatants from the big bowl. 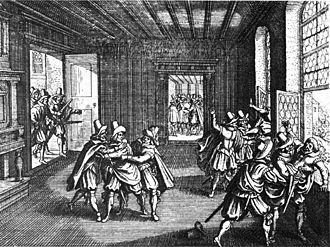 Numerous black eyes were exchanged before mounted police finally quelled the uprising. Such is Savoldi's fame!" Stanford University played four of its home football games at Kezar: one in 1928 and three in 1942. Stanford was also part of the first-ever major college football double header in 1940, which featured Stanford–San Francisco and Santa Clara–Utah. Kezar Stadium was the first home of the San Francisco 49ers and Oakland Raiders, as well many NFL Hall of Famers, historical NFL games, and the first "alley-oop." The Raiders played at Kezar for their first four home games in 1960, and at Candlestick Park during the remainder of their first two seasons, before Frank Youell Field was built as a temporary facility in Oakland. Defensive end Jim Marshall of the visiting Minnesota Vikings had his famous "wrong way run" at Kezar in 1964, against the 49ers on October 25. The 49ers played the final NFL game at Kezar in early 1971, losing the 1970 NFC Championship Game to the Dallas Cowboys 17–10 on January 3. The 49ers moved to the more modern and accessible Candlestick Park (1960–2015) for the 1971 season, and played there for 43 years, through 2013. 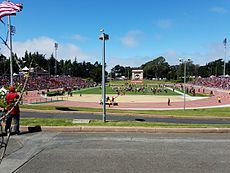 Kezar Stadium was also the home field for the San Francisco Stingrayz women's professional football team from 2003–2005, until the team was forced to end their season due to a bus accident which injured many players. The Stingrayz were one of the Bay Area's women's tackle football teams in the Women's Professional Football League, and then the Independent Women's Football League. Months after the 49ers' departure, several scenes from the 1971 film Dirty Harry were filmed at and above the stadium. The film's fictional antagonist, Scorpio (played by Andrew Robinson), worked as the caretaker at the stadium and lived under the grandstand. 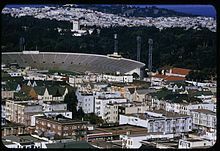 With the loss of professional football in 1971, the stadium became a popular outdoor concert venue, and its proximity to the Haight-Ashbury District helped with the transition. Notable performers at Kezar included Led Zeppelin, The Doobie Brothers, Jefferson Starship, Tower of Power, Joan Baez, Grateful Dead, The New Riders of the Purple Sage, Santana, Waylon Jennings, Bob Dylan, Neil Young and Graham Central Station. The stadium hosted the inaugural and closing ceremonies of the 1982 and 1986 Gay Games. In the 1982 edition the stadium also hosted the soccer events. With pending demolition, the bleacher planks of Kezar Stadium were sold off to fans at a party in April 1989. In June, the stadium was demolished and rebuilt with a much smaller seating capacity of 10,000. The upgrades included an eight-lane, all-weather track and a grass athletic infield suitable for soccer, football, and lacrosse. During the reconstruction, the field and track configurations were shifted several degrees counterclockwise, to move the stadium away from Frederick Street. The evidence for this can be seen by examining photos of the tunnel entrance at the east end of the field, which used to be exactly on the long axis of the track. A replica of the original concrete arch bearing the name "Kezar Stadium" was built on the west side of the stadium as a tribute to the original structure. A plaque of NFL Hall of Famer Bob St. Clair, a San Francisco native who played 11 pro seasons (1953–63) with the 49ers, plus his high school (S.F. Poly) and most of his college career (USF) at Kezar Stadium, is built into the replica arch. Kezar Stadium was closed for renovations from September 29, 2014 until March 13, 2015. The $3.2-million renovation included the replacement of the running track surface, new entry walk paving, upgraded sound system, new perimeter walkways and curbs, installation of new Mondo running track surface and striping for nine 42” lanes. In addition, 1,000 historic Candlestick Park Stadium seats were installed for the public to enjoy. The renovation was funded by the City’s Capital Planning General Fund. Mayor Edwin M. Lee helped re-open the stadium with a warm-up run. In December 2016, 4,000 additional historic Candlestick seats were acquired and installed at Kezar. The seats were paid for by the San Francisco Deltas as a part of a $1-million improvement the team agreed upon to make use of the stadium. In 1967 it served as the home stadium for the San Francisco Golden Gate Gales of the United Soccer Association. With the 2006 West Coast expansion of Major League Lacrosse, Kezar Stadium once again became a home to a professional team, the San Francisco Dragons. In October 2006, United Soccer Leagues (USL) and Spanish football club Deportivo Alavés announced that the new pro soccer team, named California Victory, would play their 2007 home games at Kezar. The Victory played in the USL's First Division, one level below Major League Soccer. However, Alaves later withdrew their support and the team folded. Sacred Heart Cathedral Preparatory, a nearby Catholic high school uses the field for their home football games. Mission High School also uses the field for home games. Kezar has also been the host of several Northern California Semi-pro football championship games. In 2010, 2011, and 2012, Stanford University held its spring football game at Kezar. For the 2012 and 2016 San Francisco Olympic bids, Kezar was designated to host field hockey had San Francisco been chosen in either year. From 2001 to 2016, Kezar was the home field for San Francisco City FC, a supporter-owned club playing in the PDL. In 2017, Kezar became the home field for the San Francisco Deltas, a professional soccer team playing in the North American Soccer League (NASL). The Deltas have contributed over $1-million in renovations to the stadium. However, Deltas announced that they would be concluding operations and the team folded. In February 2018, San Francisco City FC announced they would return to Kezar Stadium for the 2018 PDL season. The San Francisco Nighthawks, founded in 1995 and a member of the Women's Premier Soccer League, play their home games at Kezar. The Bay Area Breeze of the W-League started play there in 2013. Kezar is also the home to the annual San Francisco Fall Lacrosse Classic, an NCAA Division I fall ball game started in 2009 to benefit the Bay Area Youth Sports Foundation. 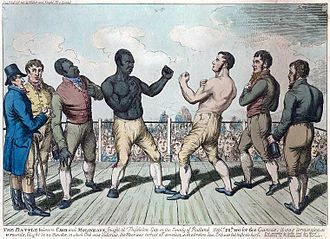 The first event was between Brown and North Carolina. 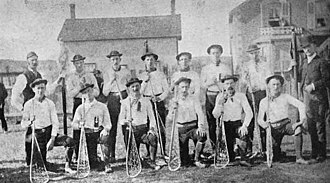 It was the first Division I men's lacrosse played in Northern California. North Carolina beat Brown 13–5 in front of a crowd of more than 4,500. The 2010 event featured lacrosse powerhouse Johns Hopkins and Notre Dame on Saturday, October 16, 2010. Notre Dame beat Hopkins 10–7. The third installment took place on Saturday, October 8, 2011 and featured the University of Denver and Harvard University. The fourth installment took place Sunday October 21, 2012 in a match between Lehigh and Ohio State. As a direct result of the San Francisco Fall Lacrosse Classic, the BAYS Foundation has made over $225,000 in grants to local youth sports and educations programs for under-resourced children throughout the Bay Area. In 2013, Kezar was home to the Major League Ultimate (MLU) team, the San Francisco Dogfish. Kezar was home to the San Francisco GAA football league (Gaelic football). In 2004 it served as the home of the San Francisco Freedom, the city's Pro Cricket team. 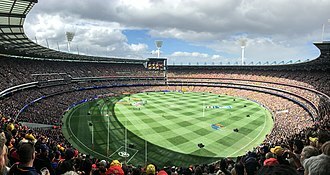 ^ "STADIUM RENTALS". San Francisco Recreation and Parks. ^ Fimrite, Ron (September 5, 1977). "A melding of men all suited to a T". Sports Illustrated: 90. ^ "They're leaving Kezar to kids and seagulls". 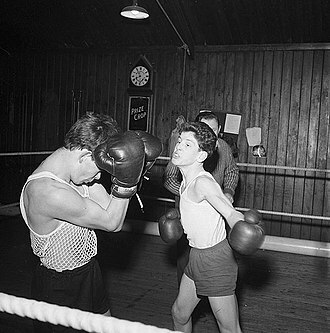 Eugene Register-Guard. Associated Press. December 6, 1970. p. 2B. ^ a b Turbow, Jason (20 January 2012). "West Coast Brew Gave Kezar Stadium Its Color". New York Times. ^ The Oakland Raiders 2010 Media Guide. ^ "Viking romps wrong way". Spokane Daily Chronicle. (Washington). Associated Press. October 26, 1964. p. 13. ^ "Dallas rebounds". Spokane Daily Chronicle. (Washington). Associated Press. January 4, 1971. p. 17. ^ "Official Schedule". Bay Area Reporter. 26 August 1982. Retrieved 11 August 2018. ^ "Official Schedule". Bay Area Reporter. 7 August 1986. Retrieved 11 August 2018. ^ "Fans take home pieces of Kezar". (Sonora, CA) Union-Democrat. Associated Press. 7 April 1989. p. 3C. ^ "Stadium to Be Razed : The Last Faithful Fans Take a Seat at Kezar". Los Angeles Times. 7 April 1989. Retrieved 1 February 2014. ^ Thomson, Ian (June 28, 2013). "Happel's "Monster" Dutchmen Take San Francisco By Storm". The Soccer Observer. Retrieved October 1, 2017. ^ "Breeze Tab Kezar Stadium as Home Field". United Soccer Leagues (USL). May 3, 2013. Archived from the original on May 28, 2013. Retrieved May 4, 2012. ^ a b "SFLacrosse.com: October 21, 2012 – Kezar Stadium, San Francisco CA – NCAA Division I Men's Lacrosse Returns to San Francisco – Sunday, October 21, 2012". Retrieved 2012-11-16. 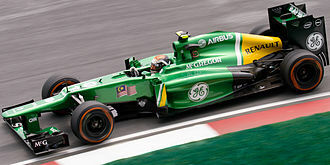 ^ Phillips, John (14 January 2013). "6San Francisco Dogfish". Major League Ultimate. Archived from the original on February 3, 2014. Retrieved 1 February 2014. Wikimedia Commons has media related to Kezar Stadium. Vilho Ville Eino Ritola was a Finnish long-distance runner. Known as one of the Flying Finns, he won five Olympic gold medals and he holds the record of winning most athletics medals in one Olympic games event - four golds and two silvers in Paris 1924. He has won the second biggest number of athletics Olympic gold medals in one event, Ritolas parents were farmers in western Finland near Seinäjoki. 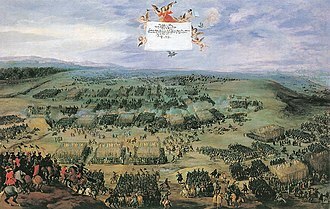 He was born in Peräseinäjoki, Finland and he was the 14th child in his family and had altogether 19 siblings, five of whom had died in infancy. 6 of the children were from his fathers first marriage,14 from the second, in 1913 he followed seven of his siblings and emigrated to the United States to work as a carpenter. There he started training in 1919 when he was already 23 years old, in 1919 he joined the Finnish-American Athletic Club and trained together with Hannes Kolehmainen, who had moved to the United States after the 1912 Summer Olympics. In spring 1919 he took part in his first competition, a New York street race, only after this he started to train systematically. Kolehmainen tried to convince the young Ritola to join the Finnish 1920 Summer Olympics team and he had just got married to Selma née Aaltonen. In 1921 he started to compete systematically, and in 1922 he won his first AAU Championship gold medals, the same year he came second in the Boston Marathon. 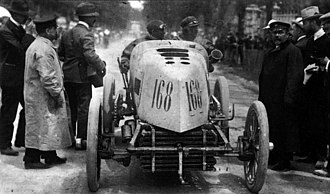 During 1923 American Finns started collecting funds to pay for Ville Ritolas trip to Finland, in the 10,000 m qualifying race Ritola won with a world record time of 30.35.4. This was Ritolas first official world record, at the 1924 Paris Olympics, he won four gold and two silver medals. He had a start on eight days to achieve this. In his first race, the 10,000 m, in the absence of Nurmi, he won by half a lap, Finnish officials had selected Ritola for the race as Nurmi was already running in five other distance events. Three days later, Ritola won the 3000 m steeplechase by 75 metres, the next day he finished second in the 5000 m,0,2 seconds behind Nurmi. Ritola earned another silver medal behind Nurmi in the individual cross-country race, Ritola joined with Nurmi to win the 3000 m team race. Willis Jefferson Polk was an American architect best known for his work in San Francisco, California. For ten years, he was the West Coast representative of D. H. Burnham & Company, in 1915, Polk oversaw the architectural committee for the Panama–Pacific International Exposition. He was born in Jacksonville and was related to United States President James Polk and he began his architectural training when he was eight years old in a local contractors office. In his teens, he worked in his fathers shop in St. Louis. In 1887, Polk moved to Kansas City to join the firm of Van Brunt & Howe, a few years he studied under former Van Brunt associate William Robert Ware at Columbia University in New York City. He worked at the firm of A, in the 1890s, Polk moved to San Francisco to launch his own firm. 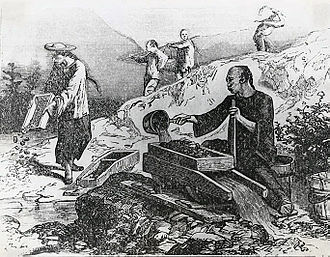 He struggled to earn commissions, and in 1897 he declared bankruptcy, however, an opportunity presented itself in 1899. 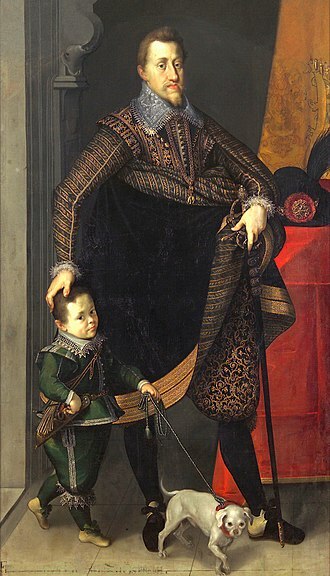 Francis Hamilton, of the local firm Percy & Hamilton, Polk was primarily in charge of design and employee management, while Percy focused on the business end. The partnership gave Polk a relief to his debt and the opportunity to work on commercial structures. The partnership designed five buildings, including One Lombard Street, addison Mizner was one of his apprentices and a partner. Willis Polks early career included work with McKim, Mead & White, Polk worked with Daniel Burnham in Chicago, and moved to San Francisco to establish and direct Burnhams San Francisco office. 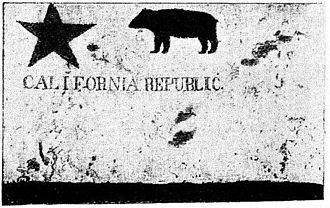 Before long, Polk started his own firm and spent many years designing highly regarded California commercial and residential architecture, in 1901, Polk went on a tour of Europe and Chicago. In Chicago, he met prominent architect Daniel Burnham, from 1903 to 1913, Polk was the West Coast representative of D. H. Burnham & Company. Polk designed several of his most notable structures while associated with the firm, including the Merchants Exchange Building, the 1906 San Francisco earthquake opened up numerous opportunities for Polk to design Burnham structures. He was a member of Mayor Eugene Schmitzs Committee of Fifty leaders who undertook ambitious plans to rebuild a world-class city, Polk was tasked with convincing city officials to adopt Burnhams 1905 Plan of San Francisco. The N Judah is a Muni Metro light rail line in San Francisco, California, so named as it runs along Judah Street for much of its length, named after railroad engineer Theodore Judah. It links downtown San Francisco to the Cole Valley and Sunset neighborhoods and it is the busiest line in the Muni Metro system, serving an average of 41,439 weekday passengers in 2013. It was one of San Franciscos streetcar lines, beginning operation in 1928, while many streetcar lines were converted to bus lines after World War II, the N Judah remained a streetcar line due to its use of the Sunset Tunnel. The line runs from the Caltrain depot in the Mission Bay district to Ocean Beach, from the Caltrain depot at Fourth and King Streets, it runs along King Street and the Embarcadero, passing by AT&T Park. 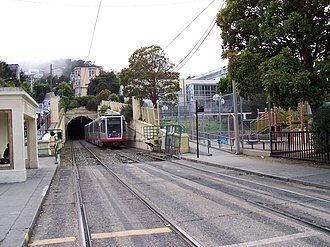 It enters the Market Street Subway, which it shares with the five other Muni Metro lines and it exits the tunnel at Church Street and, after a brief stretch along Duboce Avenue to Duboce Park, enters the older Sunset Tunnel. 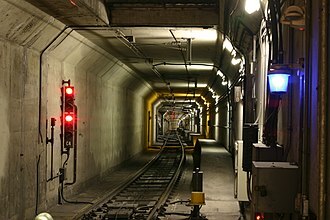 This tunnel serves to avoid a hill and contains no underground stations, on Judah between 9th Avenue and 19th Avenue the N runs on a right-of-way that is slightly raised above the surrounding street. There is a loop in the intersection at Judah, La Playa, the N Judah line stops at large stations for the downtown section of the route and at smaller stops on the rest of the line. 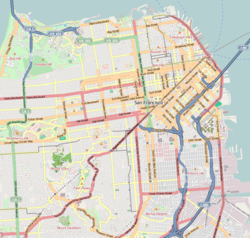 Muni bus routes provide service to all stations and other systems with access to the stations are noted. As with all Muni lines, service begins around 5 a. m. on weekdays,6 a. m. on Saturdays and it operates at high frequencies, mainly between 7 and 12 minutes, and mostly utilizes two-car trains during Muni Metro hours of operation. Late night service is provided by the N Owl diesel bus line and this line is generally the same as the daytime N Judah line, except it follows surface streets instead of going through the streetcar-only Market Street Subway and Sunset Tunnel. It takes Church and Fillmore to get to Haight Street, where it bypasses the hill above the Sunset Tunnel. 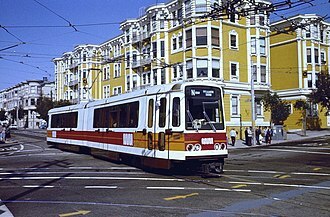 It turns off Haight at Cole, and rejoins the daytime N line at Carl, the line was operated on the Market Street Railway before being rerouted underground through the Market Street Subway in 1980. The extension to King Street Station and Caltrain was opened in 1998, on December 5,2009, SFMTA eliminated the portion of the N Judah line between Embarcadero and 4th & King/Caltrain on weekends and holidays. N Owl service was not affected by this change, weekend service to the Caltrain depot was restored in October 2011. After concerns from riders of constant overcrowding of the trains on the N Judah line, starting off as a pilot program, the NX was intended to relieve overcrowding during rush hours every ten minutes. It follows the end of the N Judah route from Ocean Beach to 19th Avenue, operates nonstop from there to the Financial District where it stops at Bush. This will allow the N Judah to run three car trains as opposed to the current two car trains, additional plans include a non-revenue L Taraval to N Judah connector, which may run on 46th Avenue. 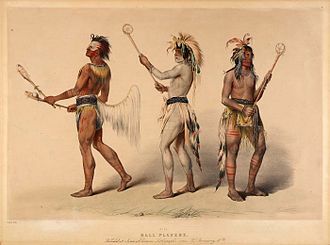 Major League Lacrosse is a field lacrosse league consisting of nine teams in the United States. Founded in 1999, the inaugural season was in 2001. MLL averaged 4,268 spectators per game during the 2016 season, MLL players reportedly earn annual salaries in the $10, 000–$25,000 range and staff generally hold other jobs. Major League Lacrosse was founded in 1998 by Jake Steinfeld, Dave Morrow, Steinfeld is the creator of the Body By Jake line of exercise equipment and videos, Morrow is a former All-American lacrosse player and the president of Warrior Sports. MLL began regular play in June 2001 with six teams in the northeastern U. S. split into two divisions. The American Division included teams in Boston, Bridgeport CT, and Long Island, the National Division included teams in Baltimore, New Jersey, the MLL played a 14-game regular season its first two years, in 2003, the schedule was cut to 12 games. MLL added four teams for the 2006 season, bringing the number of teams up to ten. 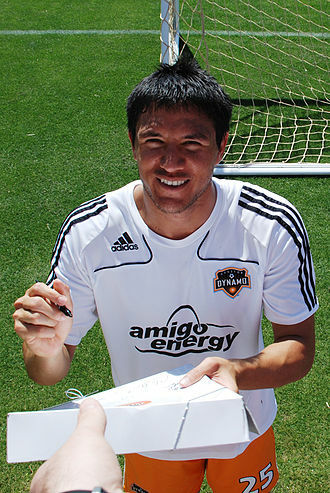 The league expand to Los Angeles for the 2006 season, with the team playing its games at The Home Depot Center, AEG. Denver, Colorado was home to a team playing at Invesco Field at Mile High. The league added teams in the Chicago and San Francisco, MLL created a western conference for these four teams, and the MLL Western Conference play began with the 2006 season. In addition the Barrages home game against Boston was played in Boston, at the end of the 2008 season, four teams folded due to financial problems. Several of these teams had suffered from poor average attendance — New Jersey and this contraction forced the remaining six teams to form one conference. At the start of the 2009 season, the Toronto Nationals bought the rights to the Rochester Rattlers, the Toronto team gained the staff and players of the Rochester team, but the Rochester name and the team colors were left in Rochester for the possibility of a future team. The new Rochester franchise played at Sahlens Stadium, the stadium the older Rochester Rattlers used at the end of their tenure in Rochester before relocating to Toronto. During the early years of MLL, the league did not have any teams in the southeast, commissioner David Gross announced on December 9,2010 that two expansion teams would be created for the 2012 season. Kezar Pavilion, located adjacent to Kezar Stadium, is an indoor arena in the southeast corner of Golden Gate Park, San Francisco, United States. Built in 1924, the Pavilion seats 4,000 people and is owned and operated by the City of San Francisco. 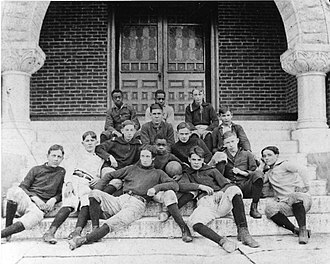 The San Francisco Rumble, of the American Basketball Association, and the Academy of Art University Urban Knights, the University of San Francisco basketball team used Kezar Pavilion before War Memorial Gymnasium was constructed. 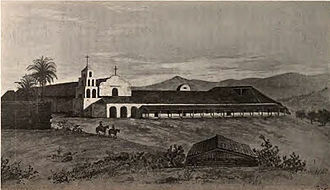 The Santa Clara Broncos used the pavilion for home games from 1927 until World War II, due to alumni, the most regular tenant of Kezar Pavilion was the co-ed roller derby team the Bay Bombers. The Bombers skated home games at the venue from 1961 to the end of the Roller Derby in 1973, games played by the Bombers were videotaped and shown to a TV network of more than 100 stations. In 2007 the San Francisco Bay Bombers and roller derby returned to the pavilion, Kezar was not only used by the Bombers for home season games, but the team held tryouts in the building. San Francisco Seals began as the senior team of the San Francisco United Soccer Club founded in 1985, a 501c3. The club is based in San Francisco, the team played its home games at Negoesco Stadium on the campus of the University of San Francisco. 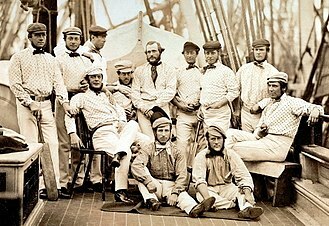 The teams colors were black and white, after the first season and for five straight seasons the Seals dominated soccer on the West Coast winning 5 division titles,3 regional titles and went to 3 national championship finals. In 1997 the Seals was called the Team of the Year by USA today after beating the Seattle Sounders, the Kansas City Wiz, the Seals continued in the A-League until 2000 when the franchise stopped professional soccer and returned to youth development. The Seals continued as members of the Y-League and expanded their development to include college level players in 2006 by entering the PDL. Since 2009 the Seals have concentrated on youth development from U6 to U23 soccer, the San Francisco United Soccer Club was first organized as a youth soccer club in 1985 for Tom Simpsons two children. SFUSC was the first San Francisco club to travel to the prestigious Gothia Cup in 1987. Drawing on talented players from throughout the Bay Area, SFUSC soon became a super club, in 1991 the club created two teams, the Red Team and the Blue Team, who both advanced deep into the California Youth Soccer Association – North State Cup. The 1991 Red Team won SFUSC won the Cal North Soccer State Cup, in 1992 SFUSC formed a team known as the San Francisco All Blacks based on its all black uniform and entered it in the USISL. After an initial 7–7 season with U19 players, the team excelled in the face of stiff national-level competition. In 1993 the New Zealand All Blacks sent a cease and desist letter claiming copyright infringement forcing the team to change their name to the San Francisco Bay Seals. In 1993,1994 and 1995 The Seals took first place in the Pacific Conference, won the regionals in 1995 and they won the Western Conference Division in 1996 and 1997, the Regional Title in 1996 and 1997, and went to the National Championships both years. View of downtown from Golden Gate Park. A mandrill at the San Francisco Zoo. Kezar Stadium was renovated in 1989. View of the Golden Gate Bridge from the Marina Harbor. Lizards at Rattlers in 2008. Jordan Wolf dodging vs. Chesapeake Bayhawks in 2017.